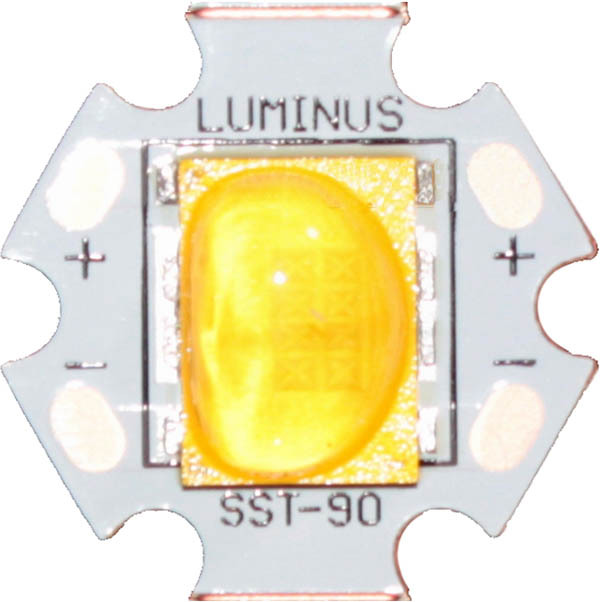 This neat little LED torch runs from a single AAA battery and features a bright 1W LED that produces around 120 lumens of white light. The torch features a zoomable head, so you can change the beam from a very narrow spot to something a lot wider if needed. It is made from aluminium with a hard anodised finish, measures 80 x 14 x 14mm and weighs 25g empty. The torch has no modes, just full on, and a battery runs for 50 to 60 mins. 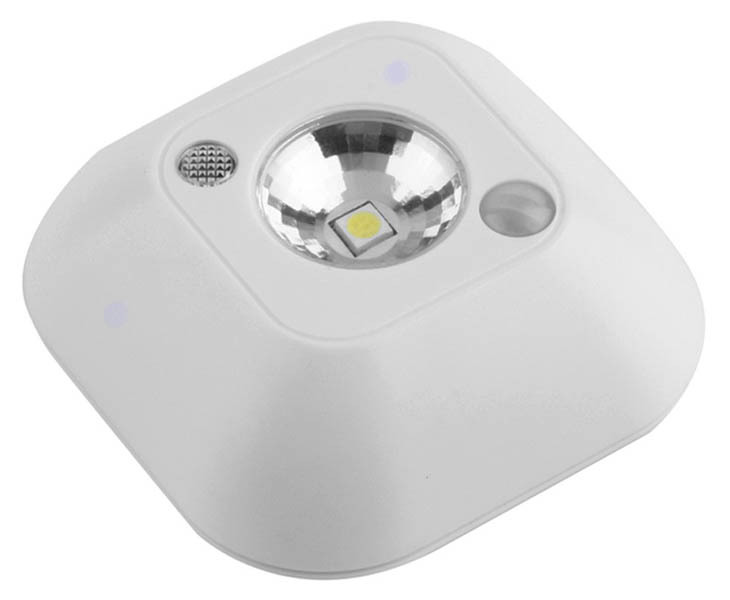 It uses a tailcap pushbutton switch for ease of use. 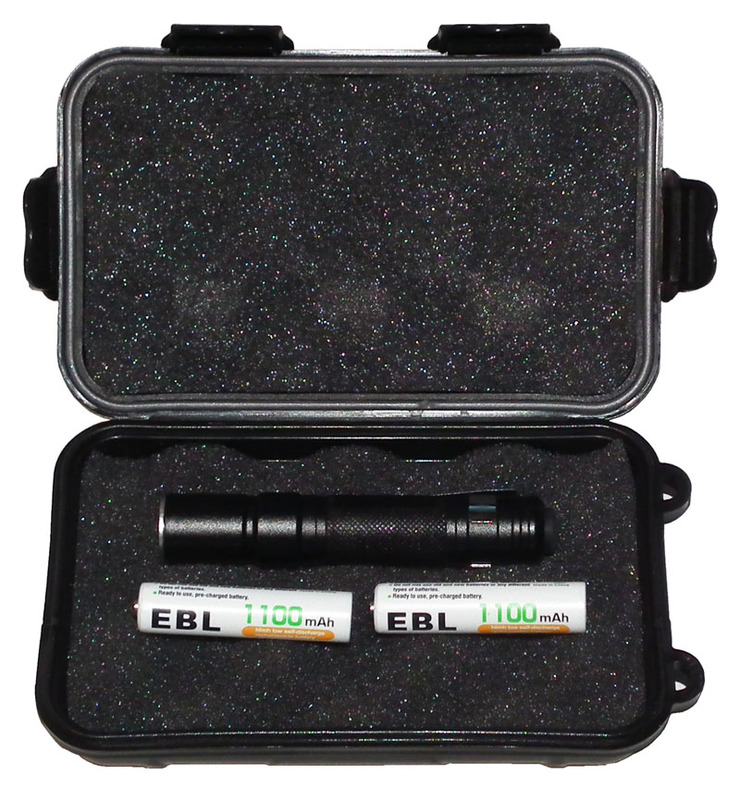 We are supplying the torch complete with two high capacity, low self discharge rechargeable AAA batteries and a nice little plastic carry case for protection. Both torch and case are water resistant, but not submersible.